So it's been a busy month for us here at Two Fresh, we have been working on various video production and marketing projects across a range of sectors. One of our most favourite projects that we have been working on is a digital billboard campaign for eToro and their creative agency Pelekan Design. Our team worked closely with Pelekan Design to bring their graphics to life with animation. Deadlines were tight and we had to ensure that each animation produced could be formatted to various different screen sizes. This often meant rebuilding each animation from the ground up, which was complex, but fun to do! We often worked into the night! It's always a fantastic treat for us to see our work on the big screen! 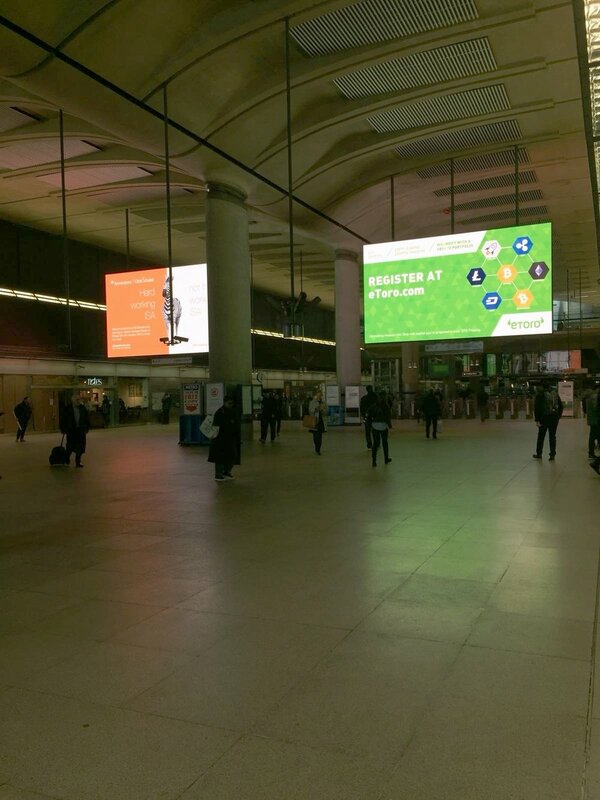 You may have seen the eToro ads on your journey to work at Waterloo, Victoria, Canary Wharf and a few other stations across London town. Some of the billboards have even been spotted as far as Ipswich.